August 20, 1928 September 19, 2018 Age 90, died unexpectedly (yes, unexpectedly) in San Antonio, Texas on September 19, 2018. Born in Coshocton, Ohio August 20, 1928 to Carl Willard and Sarah Genevieve (Hunter) Horn, he was preceded in death by his daughter, Helen M. Horn-Kingery (Col. USAF, Ret). Bill was a graduate of Warsaw High School and earned a BA in Commerce from Ohio University in 1950. He worked for Singer and Continental Can Company in Mt. Vernon, Ohio prior to starting his 20 year USAF career as a logistic planner serving in the continental USA, Hawaii, and Southeast Asia where he was awarded the Bronze Star. 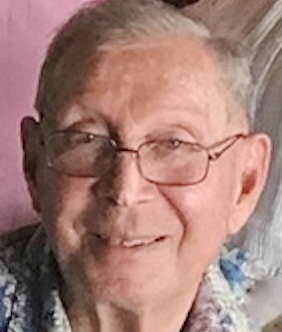 Retiring from the USAF, he worked for the University of Hawaii Education Department as motorcycle safety instructor before devoting the next 20 years to real estate sales and property management in Hawaii. Bill is survived by two children, Sarah (Sally) Jane Horn and William F. Horn II, 7 grandchildren, 8 great-grandchildren. Lt. Col. Horn will be interred at the National Memorial Cemetery of the Pacific at Punchbowl in Hawaii at a later date. To leave condolences for the family, please visit www.ebensberger-fisher.com and select obituaries. Arrangements with Ebensberger-Fisher Funeral Home of Boerne.